Law Minister D V Sadananda Gowda is set to forward to Chief Justice of India T S Thakur the final draft of the new Memorandum of Procedure regarding appointment of judges to the Supreme Court as he has completed the task of holding consultations with the Prime Minister's Office and the Attorney General. 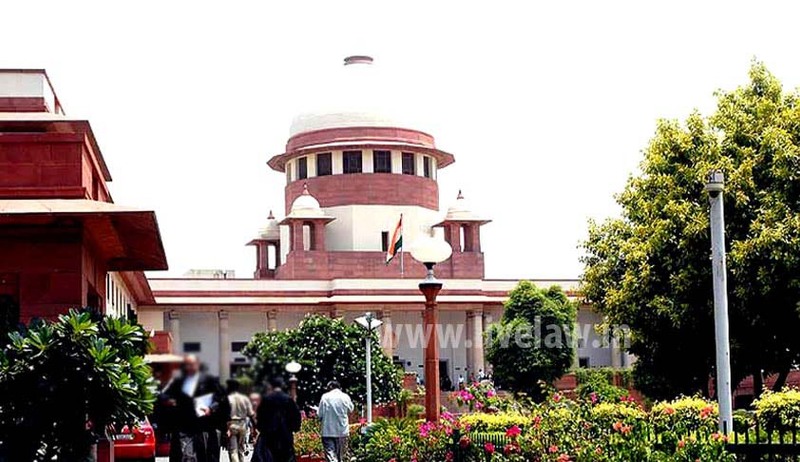 It is to be noted that the apex court had on December 16, that is exactly two months after scrapping the NJAC Act, a constitution bench of the Supreme Court which had embarked on a mission to improve the collegium system virtually put the ball back into the government's court by giving the Centre the liberty to finalise the draft in consultation with the Chief Justice of India. The four issues highlighted by the draft MoP are transparency in the appointment process, eligibility criteria, a permanent secretariat for the collegium and a process to evaluate and deal with complaints against candidates. Transparency remains the key as an opaque appointment system has drawn criticism, a senior government functionary said. The Law Ministry is also planning to draft another MoP for appointing Chief Justice and judges of the 24 high courts after getting inputs from Chief Ministers and Chief Justices of High Courts. It was an anti-climax on December 16 as the bench headed by Justice J S Khehar which was expected to draw a roadmap on four crucial parameters it itself had set on - How to improve transparency in judges selection process , What changes to be made to the eligibility criteria for persons to be considered for appointment as a judge, On formation of an office of the collegium in the Supreme Court which will be called the secretariat and On how to deal with any complaints against persons in the zone of consideration-- providing only broad suggestions to the government to be included in the Memorandum on four points to ensure transparency. “During the course of hearing, we were also informed by the learned Attorney General, that the Memorandum of Procedure and introducing amendments therein, had always been prepared by the Government of India in consultation with the President of India and the Chief Justice of India. This practice, we were informed, had been consistently adopted, in consonance with the directions contained in paragraph 478 of the Second Judges case. In order to allay any fear that may be entertained by any of the stakeholders, it was submitted that the same procedure would be adopted now, if the task was entrusted to the executive. We are in complete agreement with the suggestion of the learned Attorney General”, the constitution bench had noted. The court had also suggested that independent secretariats be established in every High Court for streamlining the appointment process and rceiving of complaints. The procedure in receiving and dealing with complaints should also be put up on the websites of higher courts. The Bench kept it open for the government and the highest judiciary to introduce further suggestions into the memorandum of procedure without sacrificing the requirements of confidentiality. On the transparency aspect the bench had suggested that the final memorandum of procedure be put up on the websites of all the HCs and the Supreme Court. It further suggested that a record of dissenting opinions of sitting judges against a particular candidate should be maintained for transparency. The court also suggested that independent secretariats be established in every High Court for streamlining the appointment process and receiving of complaints. The procedure in receiving and dealing with complaints should also be put up on the websites of higher courts.The Bench kept it open for the government and the highest judiciary to introduce further suggestions into the memorandum of procedure without sacrificing the requirements of confidentiality.